Smart and stylish, the Ogston is a men’s wax jacket from the heritage-inspired Classic Tartan collection. This hard-working jacket is cut for a relaxed, masculine fit and crafted in Barbour’s heavyweight Oban waxed cotton, which offers robust weather defence with a suede-like matte finish. 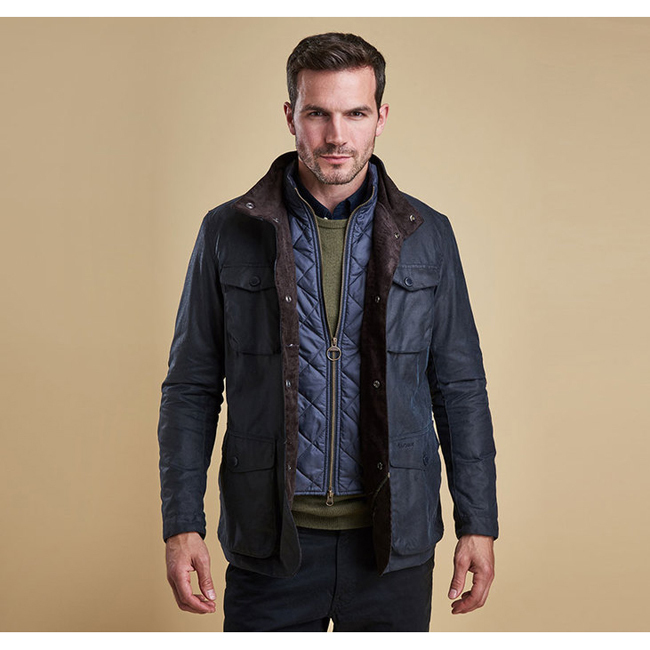 An integral quilted vest creates an outdoorsy look and provides an extra layer of warmth, fastening through to a stand collar with a Barbour-branded zip. The outer jacket itself adds yet more practicality with hardy stud fastenings and four roomy pockets, plus distinctive details including leather elbow patches corduroy facings. The luxurious wool-mix lining is decorated with Barbour’s exclusive Classic Tartan, adding an air of elegance and refinement to this rugged winter jacket. Nice smart pub jacket, arrived promptly well packaged and nice quality.